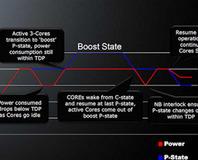 The highly anticipated Phenom B3 stepping processors are here with slightly faster clocks and no TLB erratum. How does the new stepping overclock? How does it compare to other CPUs around the same price? We dive in to find out. One motherboard, two sockets, one processor, one co-processor - what's the potential?